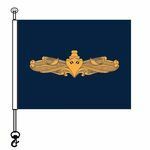 Gold: Awarded to ships of the surface force who meet a standard of having 80% of their officers, and 100% of officers who have been aboard more than 18 months, meet the qualifications for designation as a surface warfare officer. 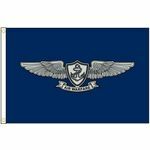 Although called a pennant, it is actually a dark blue flag with the surface warfare officer's badge on the center in gold. Introduced jointly by Surface Force Atlantic. 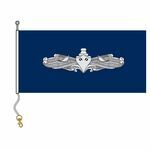 Silver: Awarded to ships of the surface force who meet a standard of having 80% of their enlisted personnel of or above the grade of petty officer 2nd class, and 100% of those who have been aboard more than 18 months, qualify as enlisted surface warfare specialists. 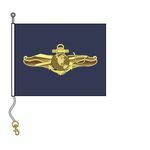 Also introduced by the two surface forces in October 1998.